Coconut Oil: Is This Wonder Oil in Your Kitchen? Many years ago, people avoided consuming coconut oil because they believed that it is linked to heart disease. However, recent research reveals the exact opposite: coconut oil does not harm your health; in fact, it may be one of the healthiest and most nutritious substances in the planet! According to leading coconut oil expert Bruce Fife, the key to coconut oil’s benefits is its lauric acid content. Studies also show that the high amount of medium-chain triglycerides in coconut oil also helps promote your optimal health, such as helping improve your brain power. If you’re a first time coconut oil user, you may be wondering how you can use this miracle oil to help you stay in the pink of health. To help you out, Yahoo! News lists seven surprising uses for virgin coconut oil. Coconut oil lets you enjoy desserts while burning fat. Virgin coconut oil helps improve your metabolism and promotes good digestion. If you’re one of those people who cannot go through a day without eating a sweet treat, here’s a good idea: the next time you bake a cake, use coconut oil in place of butter. It provides not only the same creamy texture, but a sweet flavor, too. Get rid of stubborn head lice. Is your child suffering from head lice infestation? Try this: soak his or her hair in some coconut oil. According to studies, coconut oil effectively cures head lice better than chemical-based, anti-lice shampoos. Keep your beloved Fido optimally healthy. Your darling dogs can benefit from virgin coconut oil, too! Holistic veterinarian Dr. Karen Becker claims that supplementing your pet’s diet with coconut oil or simply adding it to his food can help prevent canine obesity and arthritis. Clear out stubborn acne. Do you suffer from painful and unsightly acne breakouts frequently? Try this simple tactic: spread some virgin coconut oil all over your face to help minimize acne breakouts. It’s a natural alternative to the anti-acne medications and lotions that you frequently use. Use virgin coconut oil as a natural deodorant. According to research, the lauric acid found naturally in coconut oil can kill odor-causing bacteriabetter than chemical-based deodorants. Slather a small amount all over your armpits and see the results. Treat pink eye with virgin coconut oil. This can be credited, again, to lauric acid in coconut oil. Lauric acid helps your body create disease-fighting fatty acids, making it one of the best ways to get rid of pink eye. Annoyed with unsightly warts? Use coconut oil. Soak a Band-Aid in coconut oil and put it over your wart. Change the bandage every day, and, within a few weeks, the wart will be gone. Before you buy any coconut oil product, you must remember this: there is a difference between regular coconut oil and virgin coconut oil. Regular coconut oil is obtained from the dried kernel or meat of the coconut, called the copra. Copra is created through sun drying, smoke drying, or kiln drying. On the other hand, virgin coconut oil is made from fresh, non-dried coconuts. Low-quality coconut oil is extracted from copra using chemicals. Many manufacturers do this In order to produce higher yields. This is an effective way of producing coconut oil, yet it is not as safe as you think. On the other hand, virgin coconut oil is extracted using a safer process, without the use of chemicals and high heat. Through this process, the fresh coconuts are quick-dried, and the oil is expressed mechanically. Another way of doing this is by wet-milling the fresh coconuts – coconut milk is extracted, and the oil is separated from the water through fermentation, boiling, refrigeration, adding natural enzymes, or using a mechanical centrifuge. If you have to choose between the two, choose virgin coconut oil. No doubt it’s safer, healthier, and more suitable for your health needs. Mishka Thomas has been using virgin coconut oil in the kitchen and around her house for the last three years. Her favorite use for this wonder oil is as a mild sweetener to her favorite pastry and drinks. She takes at least three teaspoons of coconut oil every day. 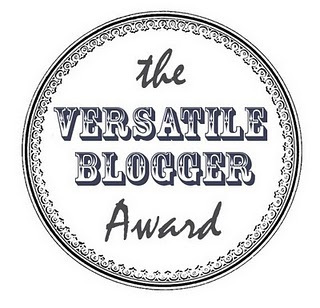 To see the requirements of each award, please visit these fantastic blogs! Thank you to these very generous people! Yummy! Healthy and delicious treat, I couldn’t ask for more! Uru, you images doesn’t show …. and when I click on them … error 404 not to be found. I have never heard about coconut oil … I have something in a jar, maybe that is what it is. Have to check out .. because this screams at me big time. Love my desserts. Have to check my cupboard. Have a lovely weekend. Haha definitely check out coconut oil, it has so many benefits! I didn’t realize it was an old post … heard so much about coconut oil .. how good it’s for us. Will check the cupboard tomorrow. Have a great weekend now, Uru. This is absolutely beautiful! I pinned it so I can make it later! Earlier I used to make virgin CO at home and use it as a moisturiser for skin..want to include it in my food as well now. I love coconut oil but I was not aware of all these uses! The parfait looks so spectacular!! I don’t usually eat breakfast but I sure would if it was this good!! Great photos,Too! 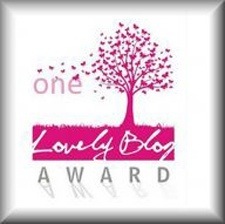 Congratulations for the various prizes!! This is a very interesting post about coconut oil, so many new information about this oil!!! Thank you for sharing them with us. 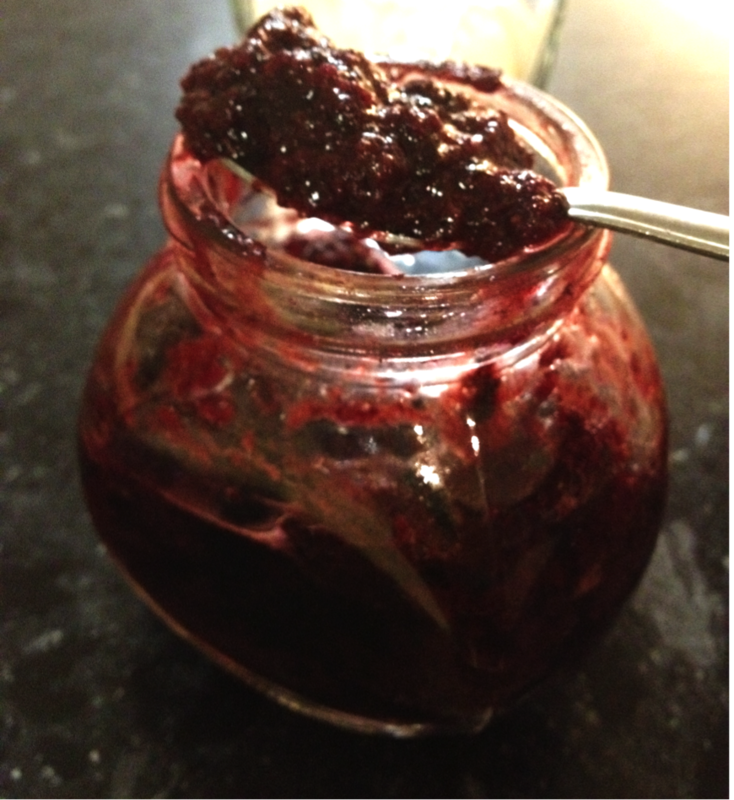 Great write up -I love baking with coconut oil. Your parfait is so so pretty!! I use coconut oil and I do like it a lot and all the healthy benefits it gives to us. It’s easy to use and stores well too. Great parfait and congrats on all the awards you have received. Such a great post! I just recently have seen the light of coconut oil and am so excited to use it in future baking projects. Good to know about the difference between virgin coconut oil and non, so thanks to the guest poster! And that breakfast parfait looks FABULOUS. 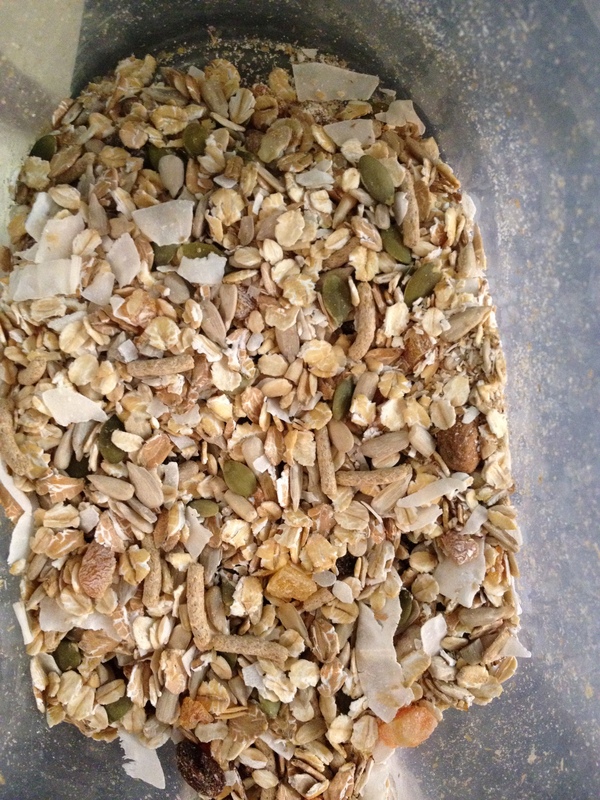 I love the idea of frying muesli in coconut oil–you are a genius! I’ve seen coconut oil at the store, but haven’t made up my mind on purchasing it yet. I got one more positive push by this post. 🙂 Sounds like everyone really enjoys using it too! I love coconut oil too! It is great also as Magic Shell (mix with cocoa or other flavorer). Coconut oil is a staple here at home. Being originally from the Philippines, we’ve known about their health benefits for ages! Having coconut oil for dessert and burning calories – oh yeah! what a delicious parfait! i love every layer of it. i’ve been a fan of coconut oil for awhile, but i’m always looking for new ways to use it! You know I LOVE this healthy post. 🙂 I eat a version of this parfait nearly every day. Coconut oil is great stuff… though I don’t know if I’m going to be rubbing it under my pitts any time soon. LOL! Just looked at the label of my jar of coconut oil and it say extra virgin. Without knowing I bought the correct product. That parfait is beautiful! Congrats on your awards! I love all the uses of coconut oil! I agree with you about coconut oil. One of my good friends has enlightened me about this oil with the mistaken identity of being unhealthy. Other than cooking (I like to fry tempura vegetables in coconut oil), coconut oil is a good moisturizer and can even be used as a sunscreen. I think that coconut oil received a bad rap in the past when the USA was trying to promote soy or soybean oil as the “healthy” food. That parfait looks delish. I haven’t tried coconut oil yet, but I feel like I have to now! Great post. Thanks for all the info in this post! I love your parfait, so full of flavors! I’ve been trying to use coconut oil more and I love the sound of this parfait! Great post Uru, very informative! Coconut parfait looks awesome. 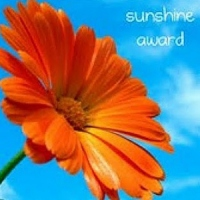 Congratulations on the well deserved awards! I need to get my hands on some coconut oil! 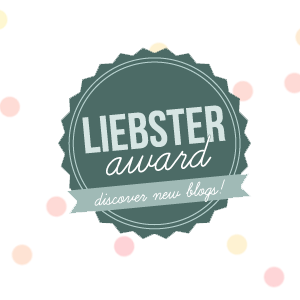 Well deserved awards! I’m yet to try coconut oil but I’ve heard only good things about it and this sounds delicious! Congratulations on those well deserved awards! Such a tempting and healthy treat all in one cup! Your parfait looks like a fabulous way to start the day. Thank you for sharing the coconut oil article. Some of those ways to use coconut oil I had never heard of. I have to really look into getting Virgin Coconut Oil the next time I’m at Whole Foods. Will be interesting to try it out in a dessert. Love the pictures and this would make a great breakfast. OK – I’m convinced. I’ll be buying that jar of coconut oil they have on sale at the co-op this week! I’d be taking a rubber spatula to the glass in the last picture to make sure I got every bit of this yummy parfait! I’ve been hearing good things about coconut oil and it was great to learn more! This sounds like a great snack, and pretty too! 🙂 I like your note on not giving precise measurements, that’s the recipe I love! Love coconut oil! And your delicious parfait! I could eat that for dessert or breakfast! I just bought some coconut oil about a month ago after seeing so many recipes about coconut oil and I’m sooo going to make this parfait. Looks amazing. I might sub the muesli for oats though. Some interesting facts about coconut oil though. No idea if I have regular or virgin. I’m assuming virgin as it was super expensive. I appreciated your post on cocunut oil. I have been using extra virgin coconut oil in baking for about a year now. Makes a great moisturizer, too! 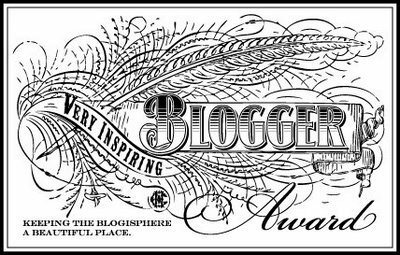 As always, I enjoy following your blog! Allen. Hi Uru! Wow, I didn’t know there were so many uses for coconut oil! I guess I should begin with baking with it! 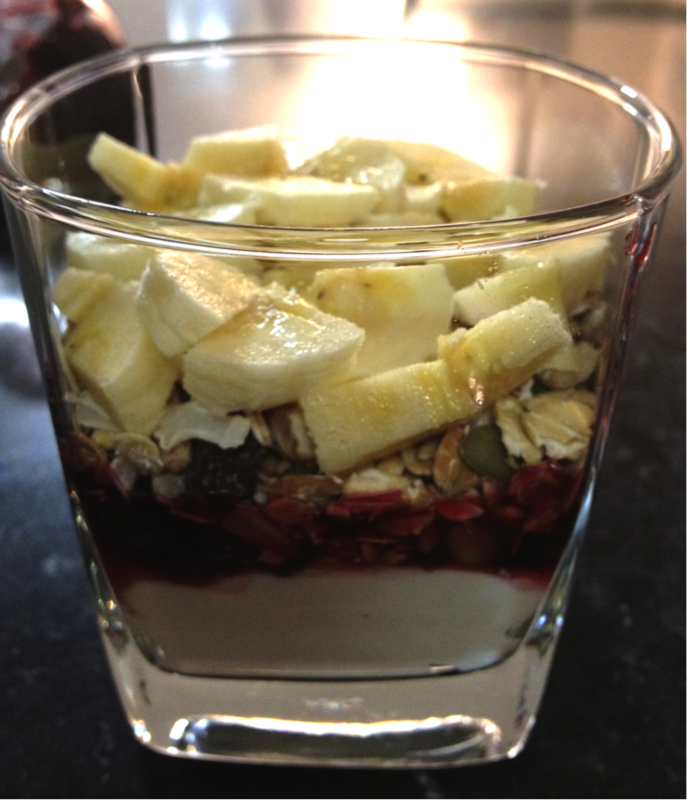 Great post and a fabulous breakfast parfait! This looks absolutely fantastic uru!! I must say, I haven’t ever used coconut oil before but it sounds great and this recipe looks just divine! Nice work Uru! I’m going to try the coconut oil for acne tip. I’ve been using coconut oil as a lotion for quite some time. It’s great for dry winter skin! This looks great! And congrats on all the fabulous awards 😀 You deserve them all! Fascinating info re coconut oil. My daughter uses it all the time but I hadn’t realised how beneficial it is until I read Miska’s words. Great post! I’m a big fan of coconut oil, both in and out of the kitchen… I thoroughly recommend it as a moisturizer. After switching to it (and eliminating store bought lotions), my skin has never looked better (ok, maybe it did when I was a kid ;-)). Sounds amazing! I love coconut oil and the list of ways to use i is astonishing! Great post! This looks perfect for breakfast and thanks for sharing so many uses of coconut oil! Didn’t know it was so good for treating so many things ~ Thanks love! Very interesting and informative post, I’d love to try using coconut oil in cooking, I think it would have a wonderful taste! What an amazing treat my friend, you’ve certainly made me hungry! I’m just now learning something of the benefits of coconut oil. It’s amazing how after years of being told to stay away we now know better! Great information, and a wonderful recipe! Thank you! Congrats on the awards Ms. I have started using coconut oil for my cooking after giving up for a long time. I also use virgin oil but somewhat a different brand. The market is loaded with many brands of virgin oil until its difficult to decide which one to buy. Thats a lovely and super tempting parfait. Great when I have to entertain guests or when I have a gathering at home. Lice? Deodorant? Warts? Who knew! Really a fun and informative post. And the recipe isn’t bad, either! 😉 Good stuff – thanks. I love coconut oil and it’s many uses. I will have to make this parfait soon. I love breakfast parfaits, and yours is gorgeous, Eating a parfait for breakfast, is like having dessert for breakfast, when you are really eating healthy! I adore anything coconut-y. This looks delish. Must be made. I have been seeing coconut oil in my store a lot lately, but this is the first article I have read that really explains its benefits. Thanks for sharing it! Congratulations on all your awards! 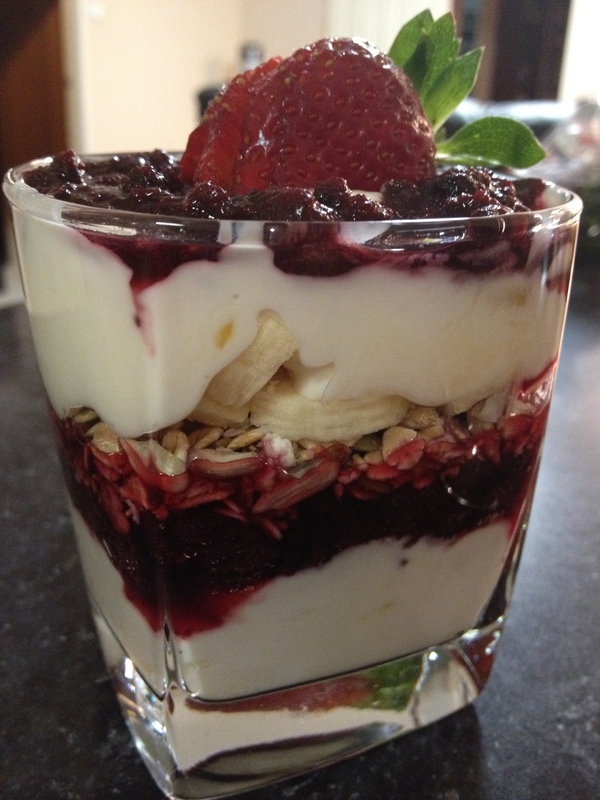 This breakfast parfait looks divine! Thanks for all the great info CCU and Mishka! I used to baulk at the thought of using coconut oil for cooking because back in Indonesia, most street sellers would fry their stuff in old coconut oil (that was meant to be thrown out ages ago) and it gave the food a nasty smell. That put me off from using it for quite some time until I read all about the goodness of virgin coconut oil and now I’m hooked. Not sure about using it as a deodorant though! We lived in India for 5 years in the 1990s and at the time coconut oil was used for the hair, they said it was very nutritious for the hair, made it healthy and shiny. My daughter has black hair so it really suited her. I didn’t know that coconut oil can be used in cooking. Here in Sicily we use mostly olive oil. But I love how it is so diverse! To think we had hundreds of coconuts growing in our garden when we lived in Mauritius. My hubby loved making bowls and the like out of the shells. Good to read about all the benefits, think i will have to add it to my shopping list. Great post, love all the info on the coconut oil! Congratulations on all of your awards! CCU, a very enlightening article. I’ve used coconut oil and love it, but never realized there was a virgin coconut oil and a non-virgin CO. Now I now and will choose carefully. What a sweet recipe! You are too kind my friend thank you so much! Congrats on all those awards! I’ve just become aware to the wonders of coconut oil but its so expensive here that I haven’t used it for anything much yet. I have thought several times to try coconut oil but now I will definitely buy to try your yummy desert. What a scrumptious parfait Uru! And I like that it’s good for you too! Ugh that must have been awful! 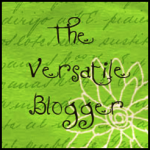 I admit before reading this guest post, I to had no idea there was a significant difference! I never knew the differences in coconut oils…I will read my labels more carefully now. 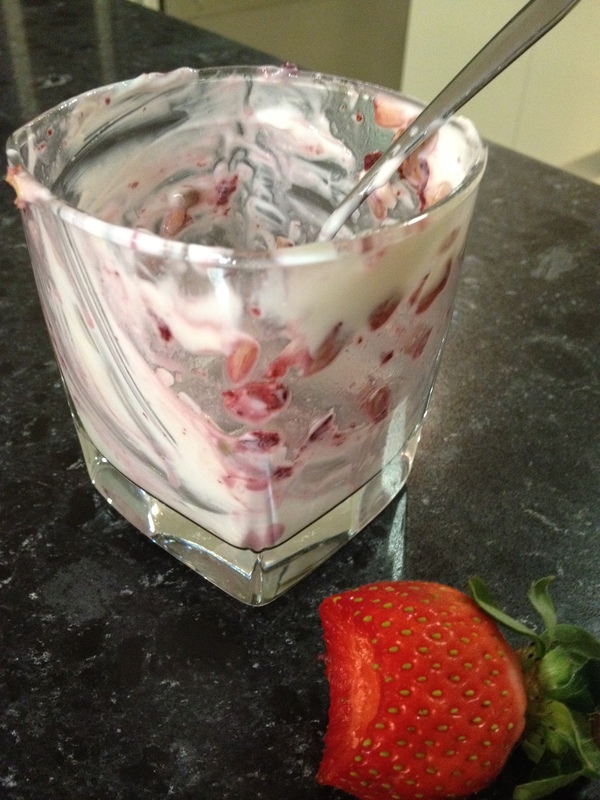 And what a fantastic parfait…it will surely l satisfy my sweet tooth! Wow so many rewards! 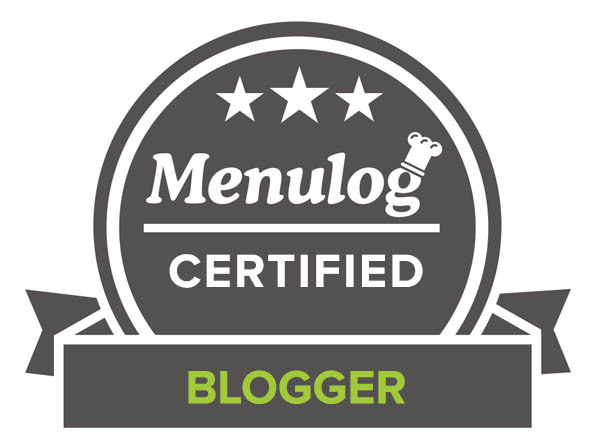 Congratulations 😀 And thanks for sharing the info about coconut oil – maybe I should go get some to use in the kitchen since it’s so good for your health! I have seen coconut oil pop up here and there, but it’s so nice to see what the uses and benefits are, thanks so much. I will go out and buy some virgin coconut oil for sure. Very interesting article, I never knew most of those things that coconut oil is good for! I want to add some to my dog’s food. Especially, the one that’s a bit chunky 😉 The recipe looks fantastic too! I like to use coconut oil in the baking. 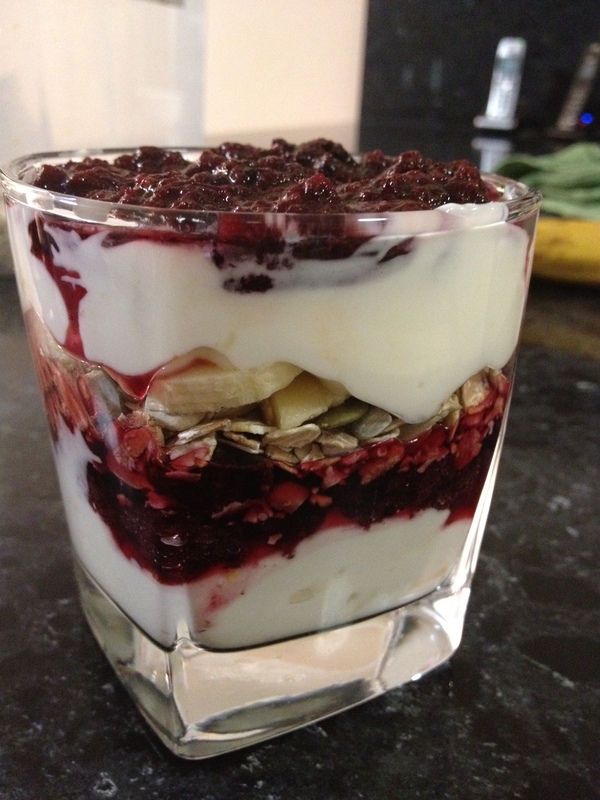 A breakfast parfait…I want this for my breakfast, lunch and dinner! Ooh, your breakfast parfait looks just wonderful. And it was fun to read all about coconut oil – I don’t know all that much about it, so I’m glad I could learn more! great article, very useful! I just need to find where to buy it! can’t wait to try your parfait, yum! Ever since my vegan cleanse a couple of months ago, I’ve been exploring a whole new world of flavored oils. Coconut and avocado are my favorites so far! Congrats on the awards! Hey, CCU! Congrats on the awards! And so timely on the coconut oil post – I’m getting obsessed with it myself. I had no idea coconut oil could be used for all that stuff!!! that’s crazy! I love coconut oil too, it is so good for us! I love this breakfast layere parfait a lot: tasty, tasty tasty!!! MMMMM! The last photo says it all! (And muesli toasted in coconut oil?… Yes, ma’am!) Congratulations on your many awards, Uru — you deserve every one of them. xo! Great post, I have just started using coconut oil. I do like the flavor it imparts to foods cooked in it. I’ll have to try rubbing it onto my hands when they get dry. I love that it is so versatile! You’re right to say that coconut oil is in vogue. I’ve been seeing it a lot lately but I haven’t got down to trying it.. I love having yogurt and muesli. This looks great and healthy at the same time! I often use coconut oil in my cooking, especially for Thai dishes. However, I would have never thought to put it my parfait or to treat pink eye so thanks for those notes. Your parfait looks so decadent almost like a dessert, but healthy. Actually, I read your recipe twice and I believe there is not morsel of chocolate. Amazing! I have been wondering about coconut oil, and now I’m convinced! That parfait looks amazing! Great post, great dessert. Thanks for all the useful tips on coconut oil. Here I thought it was just good for cooking/baking and as an ingredient in a great homemade skin cream. I love coconut oil, and that looks sumptuous! I just bought some coconut oil and now I know what to make with it!!!!! I love virgin coconut oil and did not know all the usage for it. Thank you so much! Now that wonderfully delectable dessert is something to talk about too! It looks so good. I wish I had one right now!! LOVE it. Can’t believe how many things you can use coconut oil for! Great post! I just bought some of this oil last week and now I know a bunch of uses for it! Thank you so much AND I love the parfait – looks fantastic. I’m doing a promotion and giveaway for Tropical Traditions coconut oil REAL SOON! Uru, you and your followers are welcome to enter! I’ll post details soon! CHO my, that parfait looks delicious! We’re big parfait fans here at Chobani, so we’ll have to try coconut oil in ours next time. Enjoy, friend! ooo coconut oil sounds like a great sweetener! Lovely simple recipe, and yes I use coconut oil for a lot of things, it’s a main ingredient in my moisturiser too! And congrats on those fabulous awards, and I hope your exams went amazing! The only thing I use coconut oil for (and I’m embarrassed to admit) is for making choc top for ice cream. I got it at the health food store so I suspect it’s the good stuff but I’ll double check. Super informative post Mishka and CCU, thank you! I LOVE coconut oil in baked goods and, well, anything- makes them smell so good and it’s perfect for using in peanut butter and chocolate cups because it stays solid at room temperature. Your parfait looks so, so good. Great photos, Uru. I am still not sure about coconut oil. I know that sounds like heresy coming from a low-carber. 😛 I have my reasons and it was a low-carb doctor that made me wary. I know everyone thinks it is health food these days. 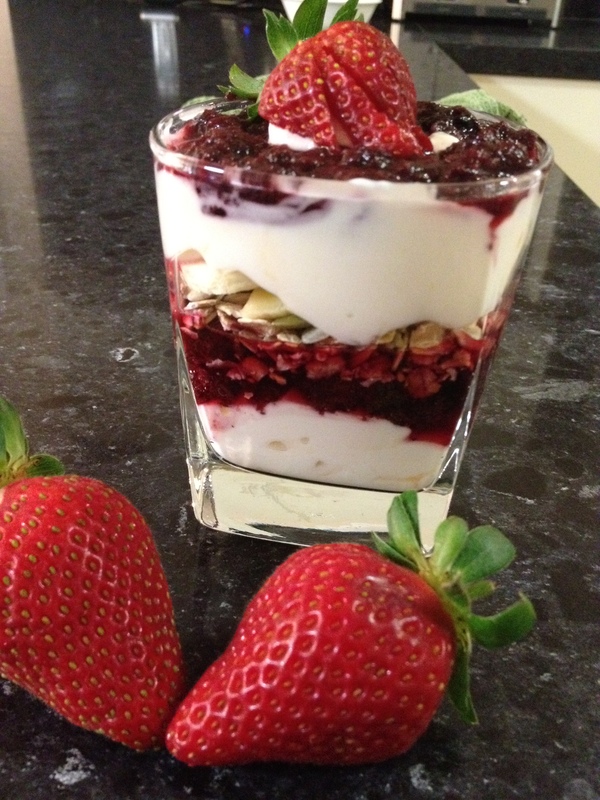 Your breakfast parfait looks amazing! And thanks for all the info on coconut oil. I love and eat coconut oil a lot, without them I think I can’t cook, nice article Uru, Congrats on your awards. Well done girl with parafit. I’ve actually overstocked myself on coconut oil… Somehow I ended up with no less than 4 full pints of coconut oil. I’m always happy to find new ideas for using it up, because I have plenty to get through! I use coconut oil everryydayy! I love the stuff and just can’t get enough! Congratulations to all that award rain .. hope you had a stabile umbrella. Your cakes, cookies, desserts and photo are killing me, but this breakfast parfait I just have to let go on file – have to go hunting for coconut oil … never heard of. Wish me luck! 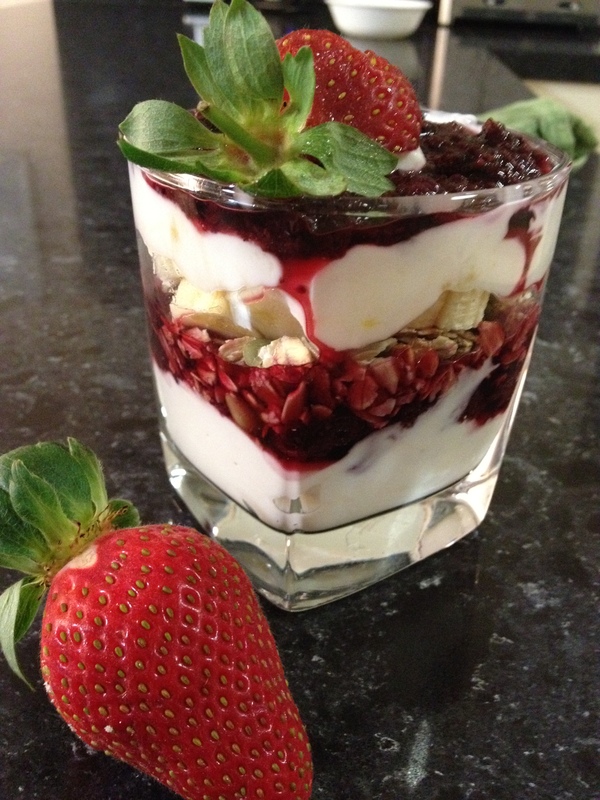 Really love this post, it’s informative and your parfait looks amazing. All those facts about coconut oil blew my mind. The virtues of virgin coconut oil are many, I am going to start adding to the dogs food, and start using it myself. Have a jar in the fridge, I have never opened. Thank you for posting this I really learned a lot! I love all of this Uru!! Great article Mishka – so many uses of coconut oil, I am amazed. I love using coconut oil!